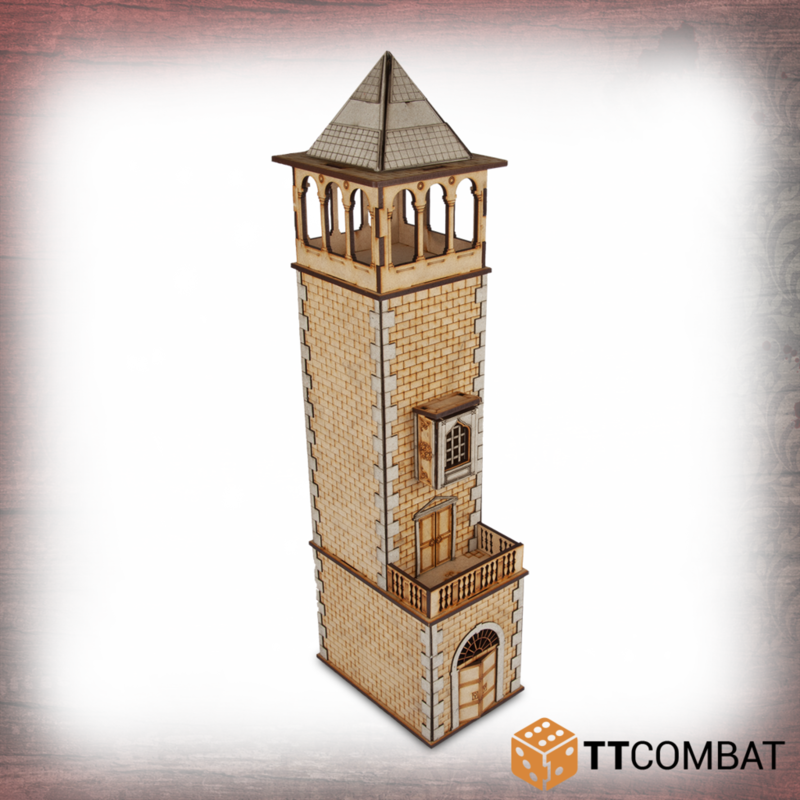 Seit unserer letzten News gab es einiges neues bei TTCombat. 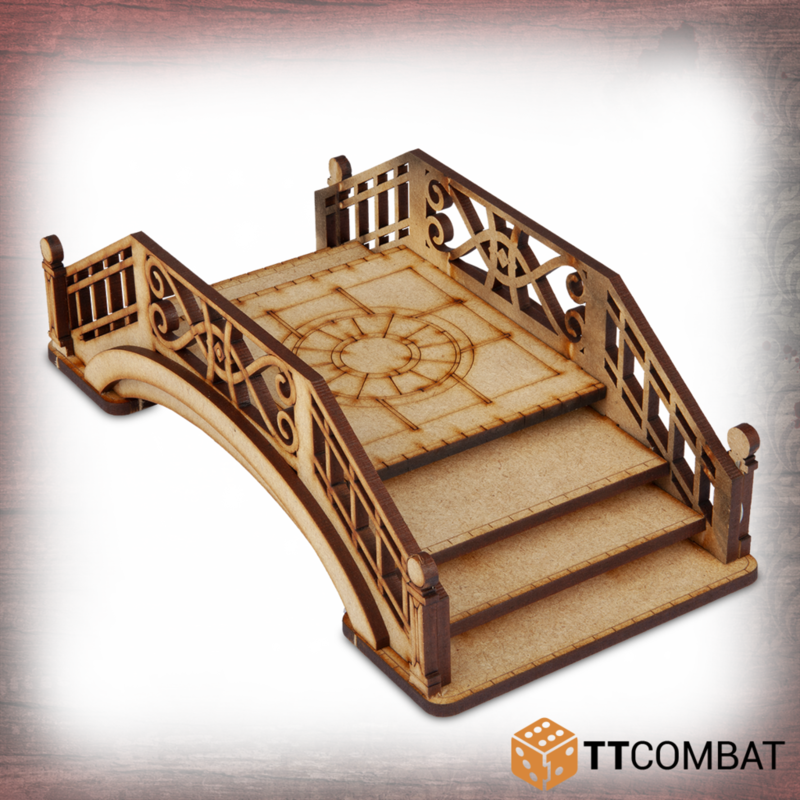 The Ringhiera Bridge is made from 3mm MDF. 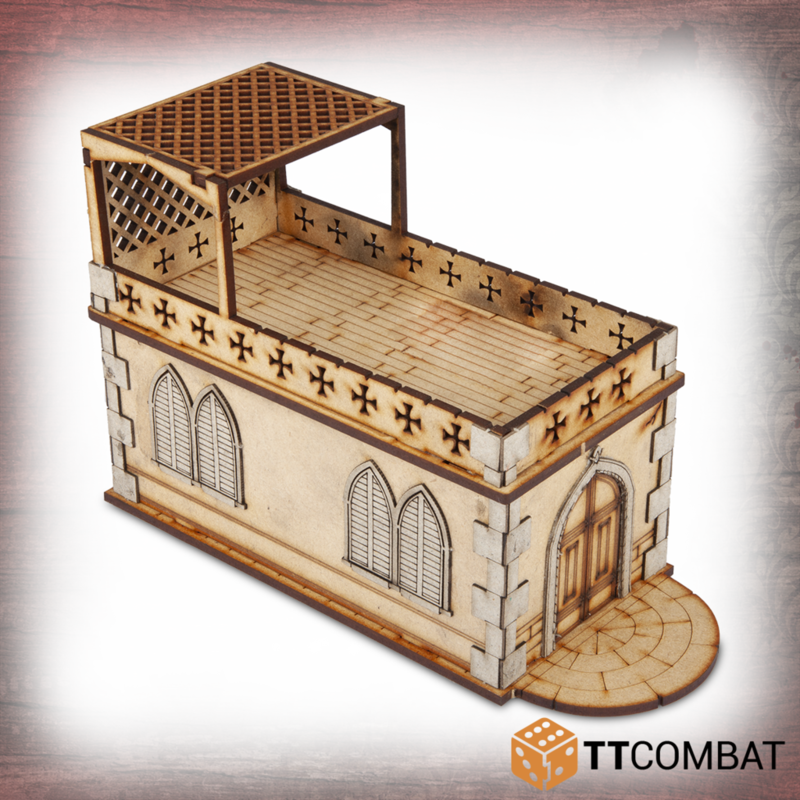 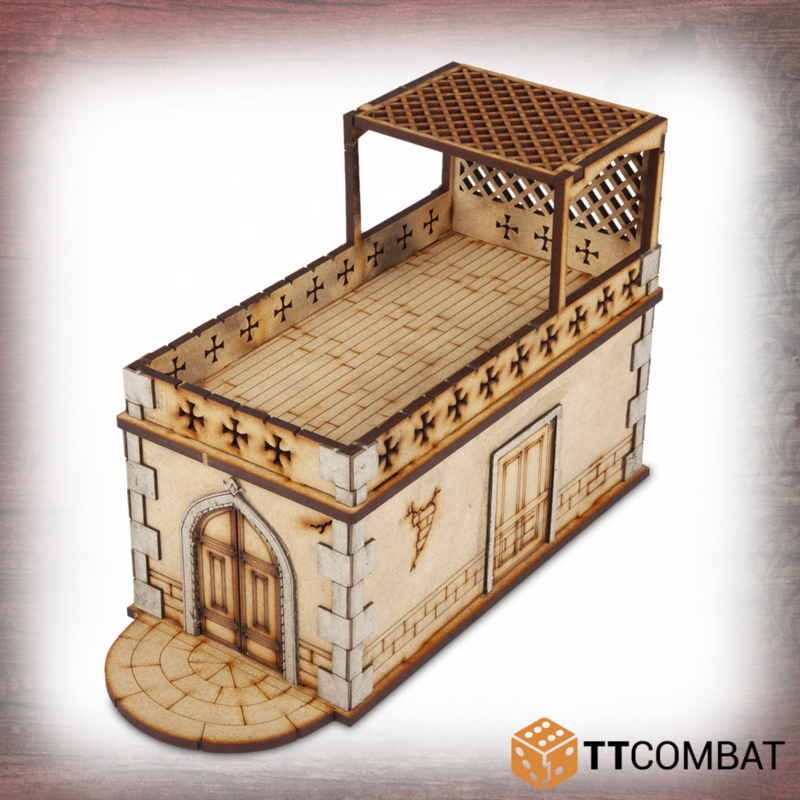 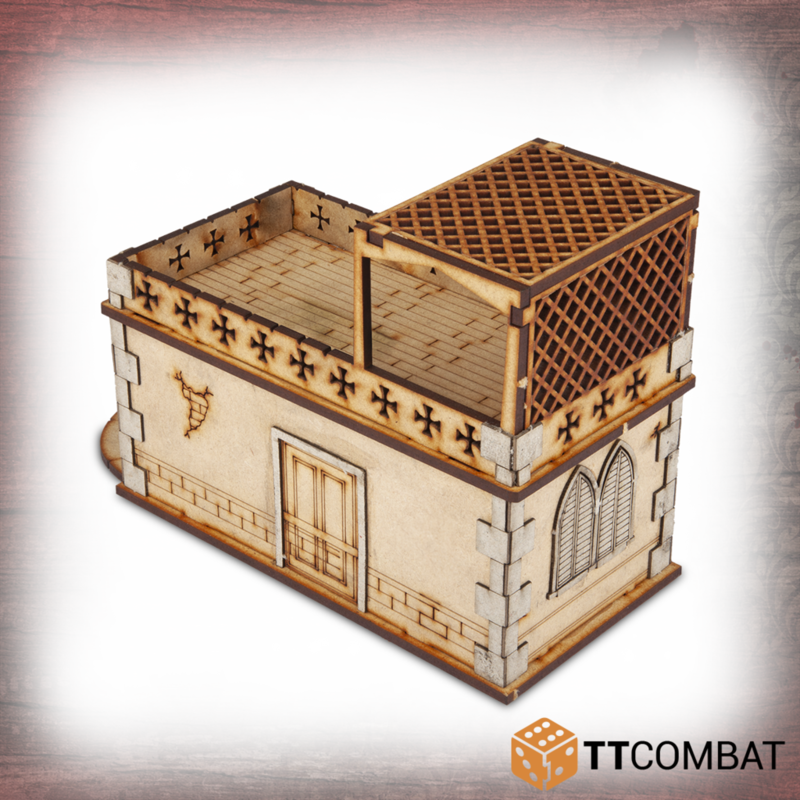 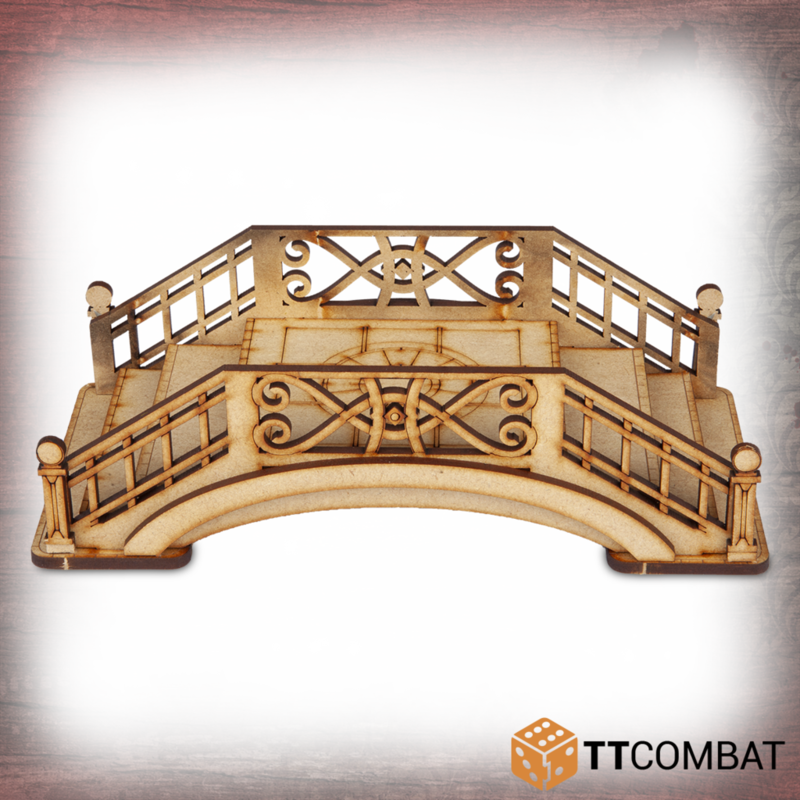 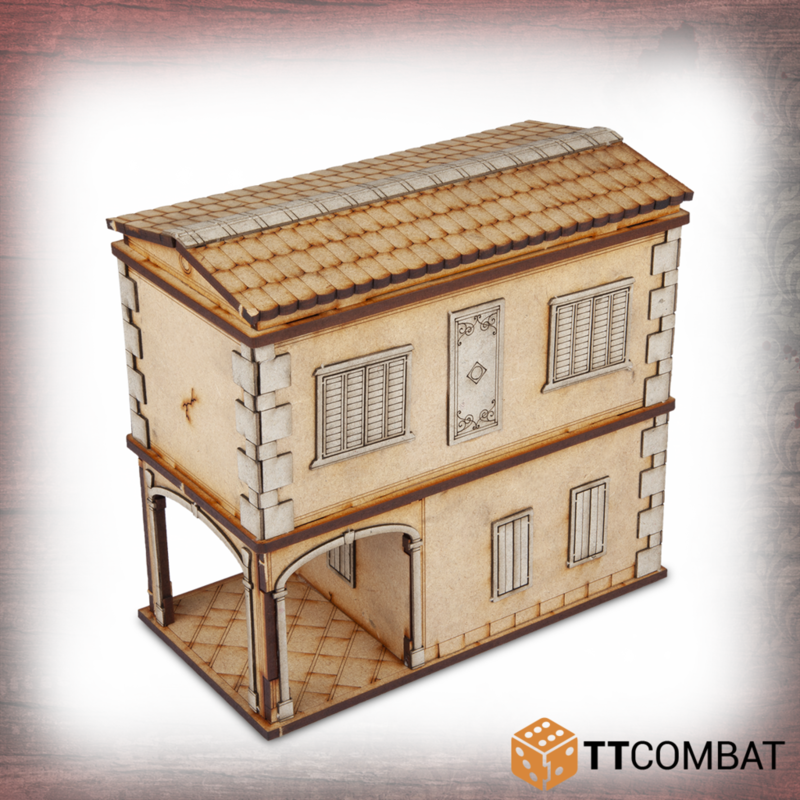 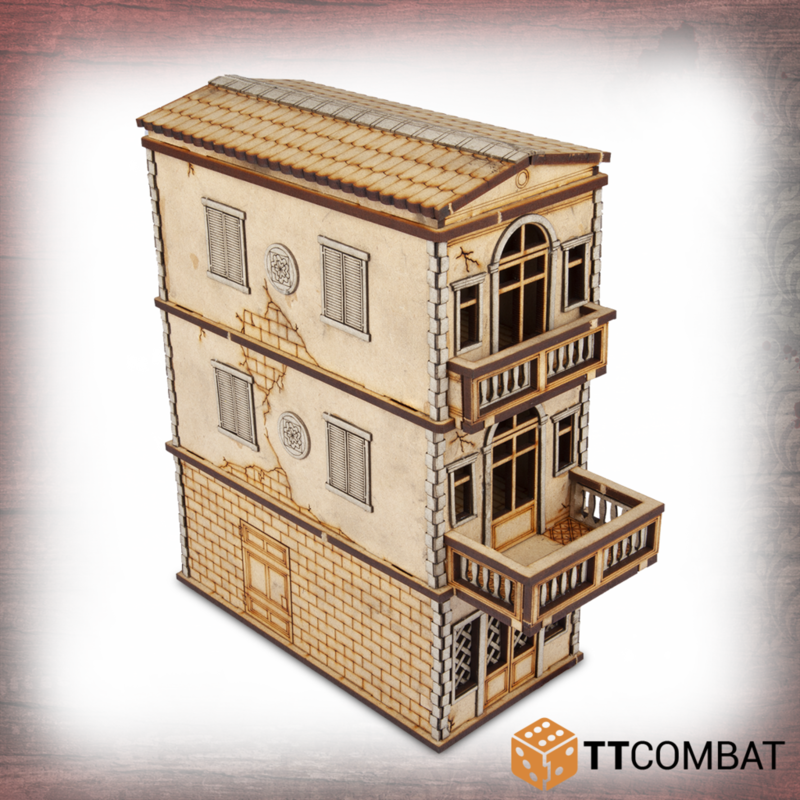 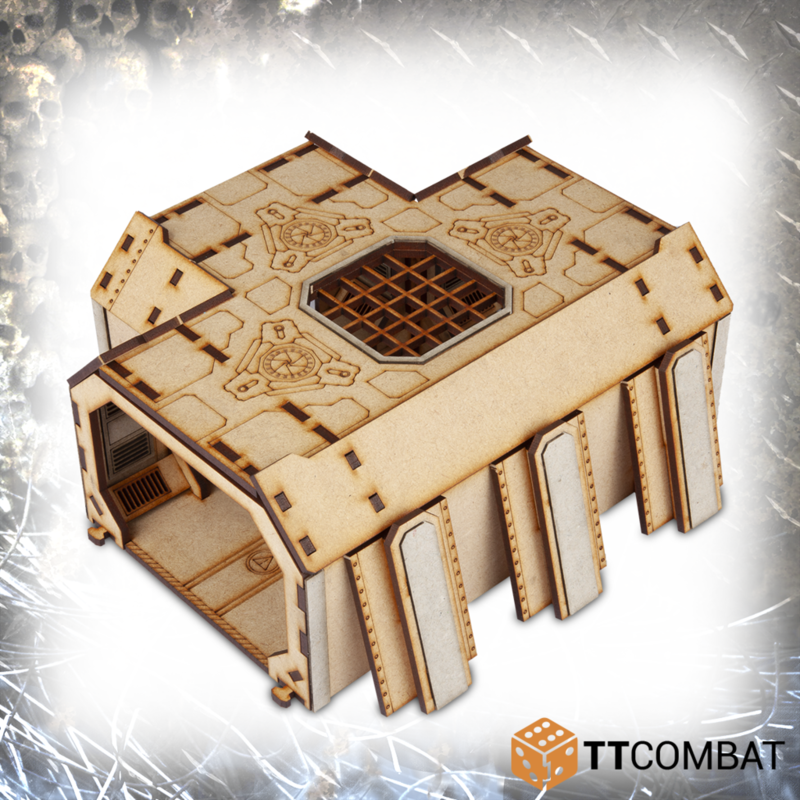 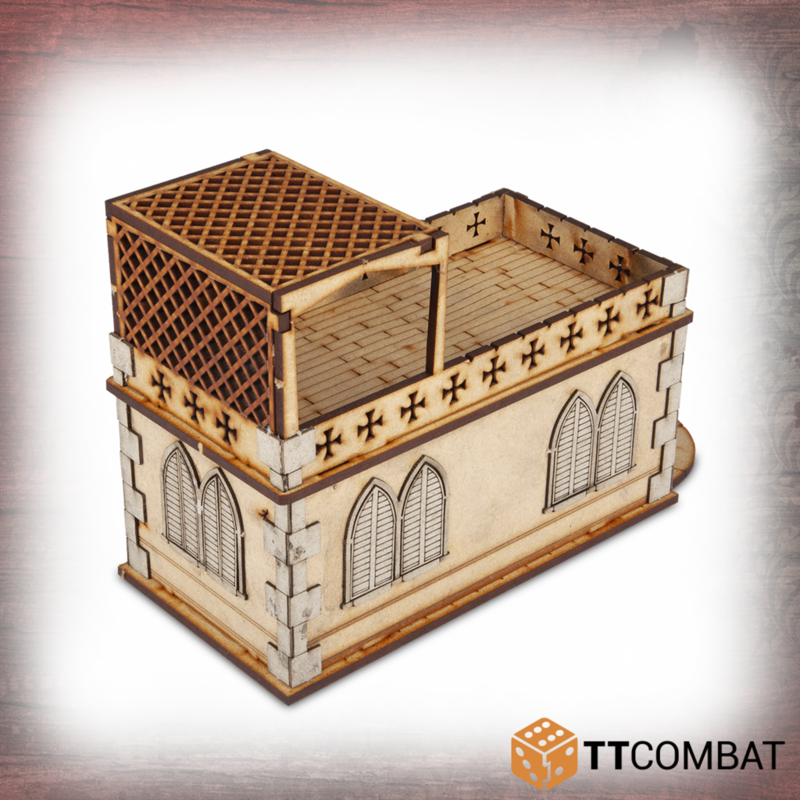 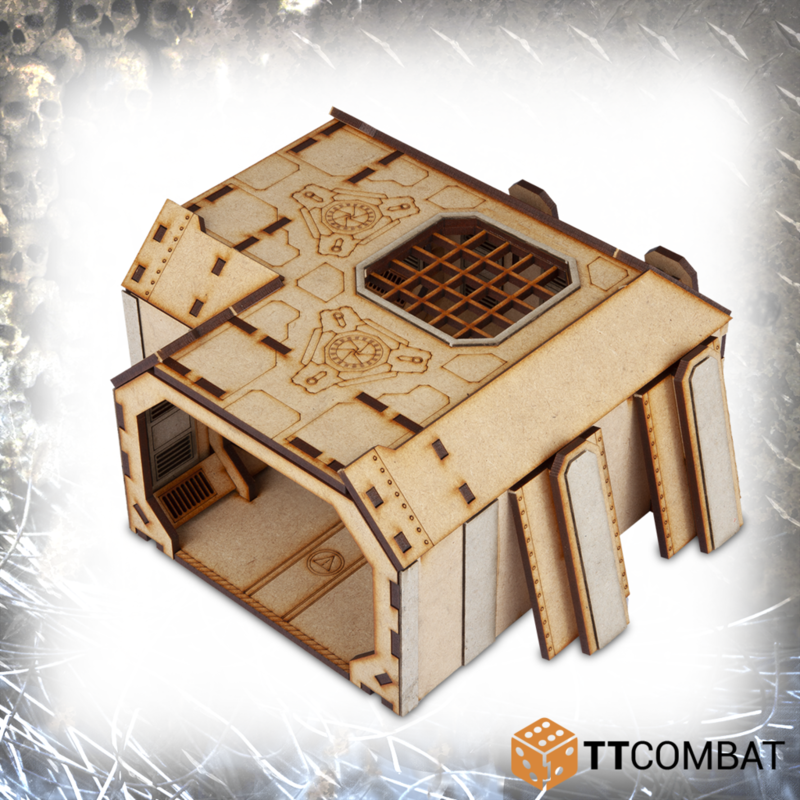 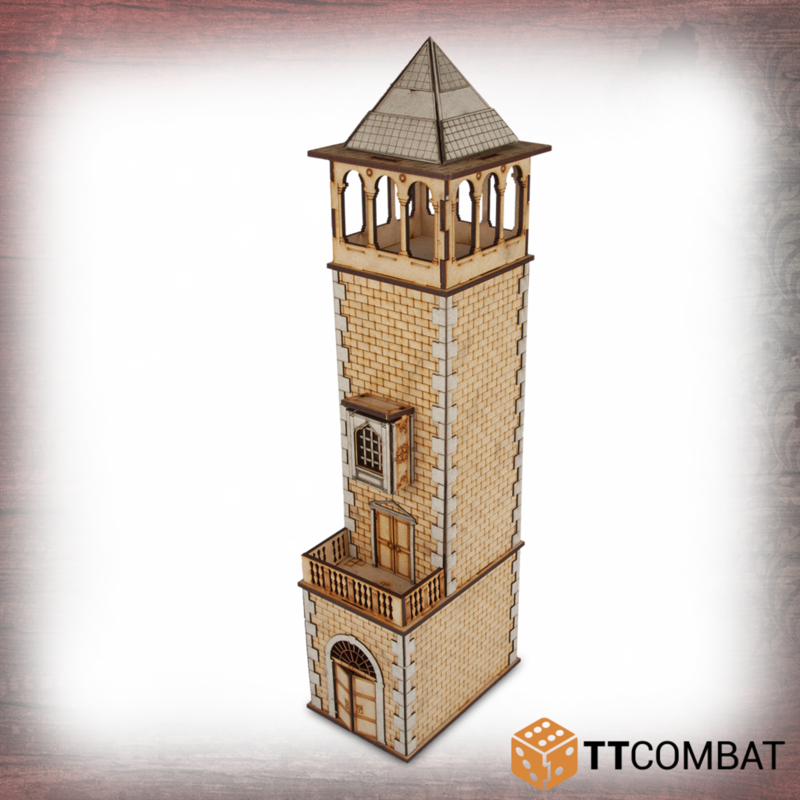 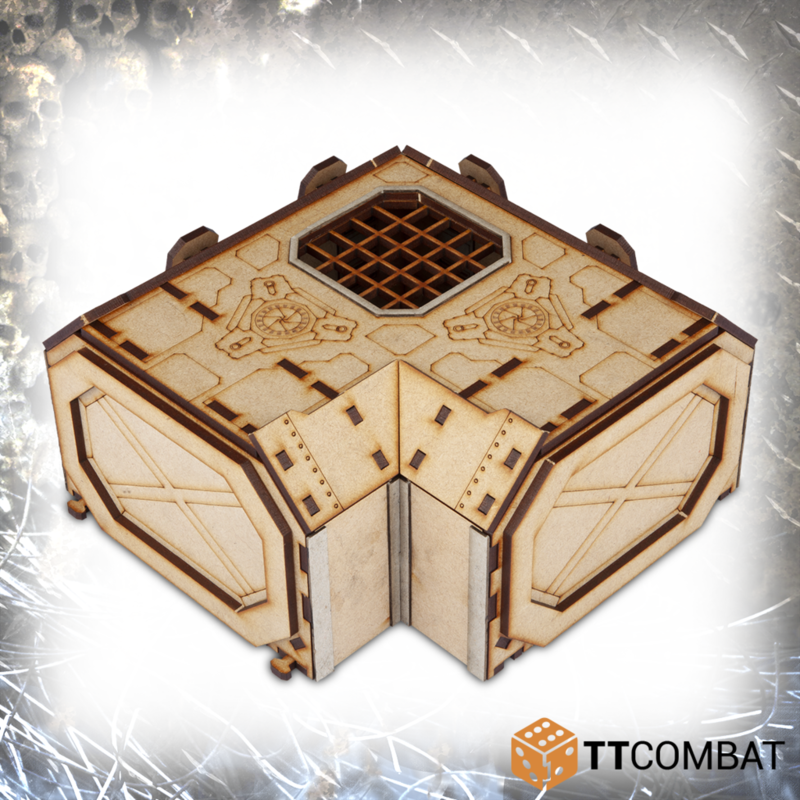 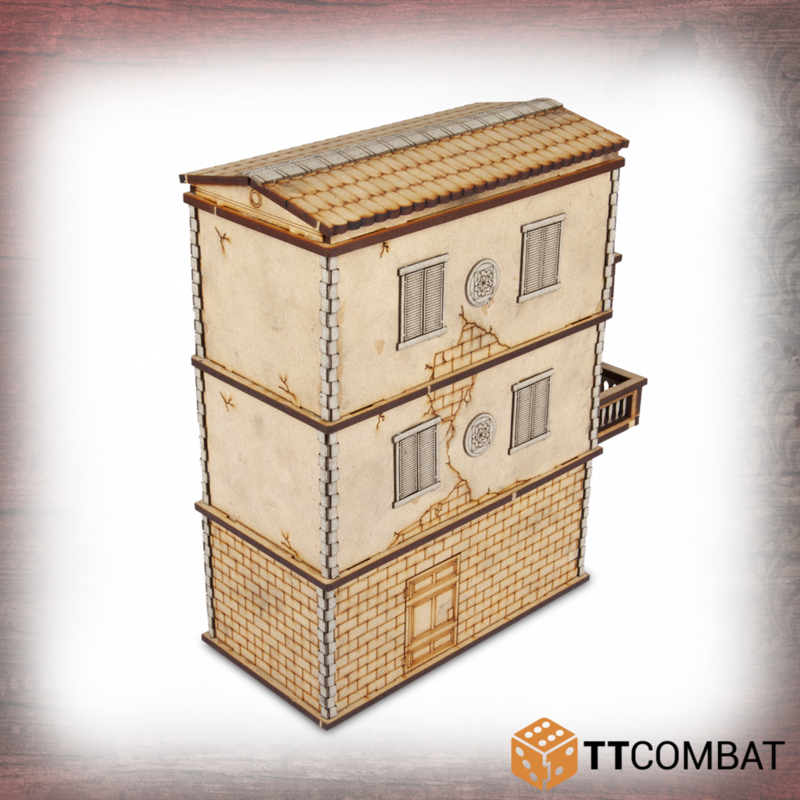 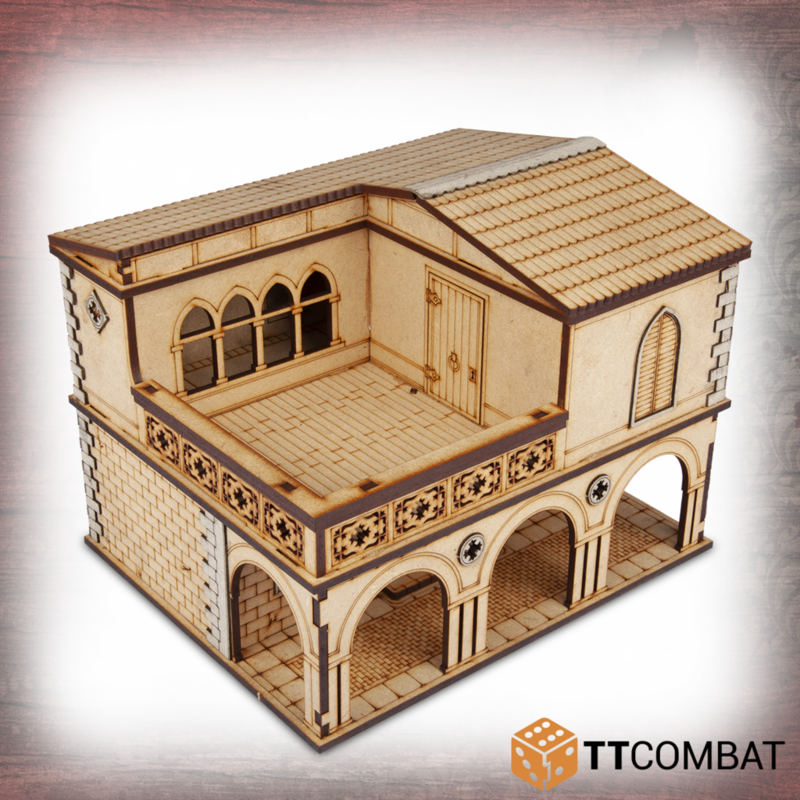 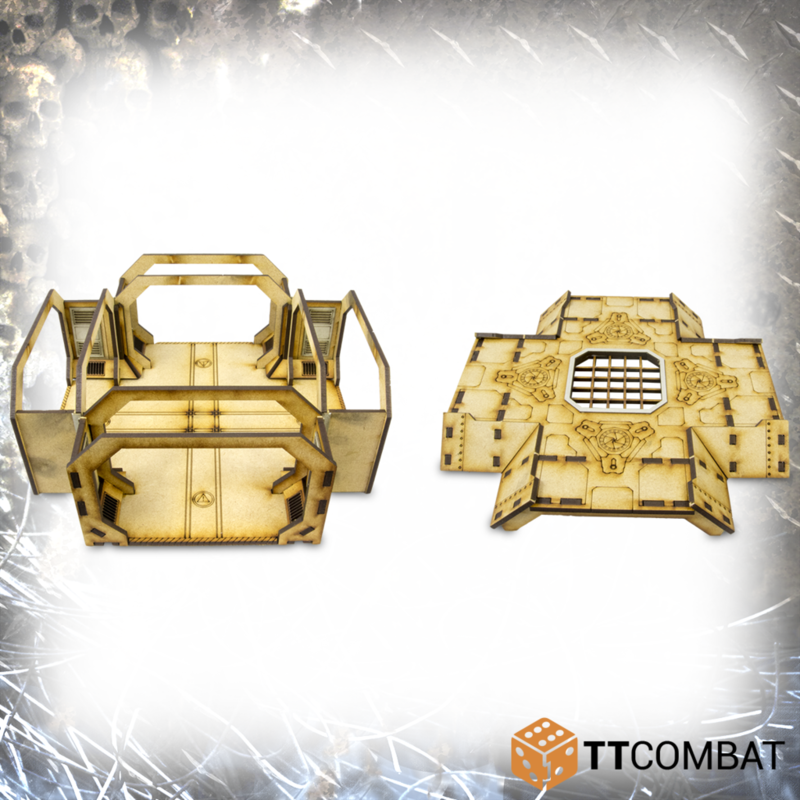 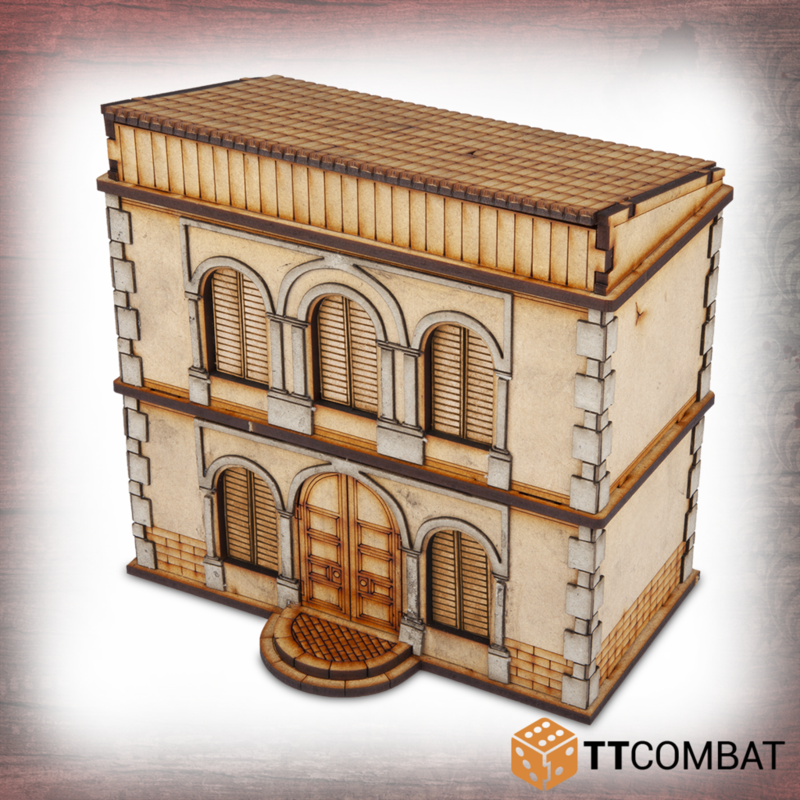 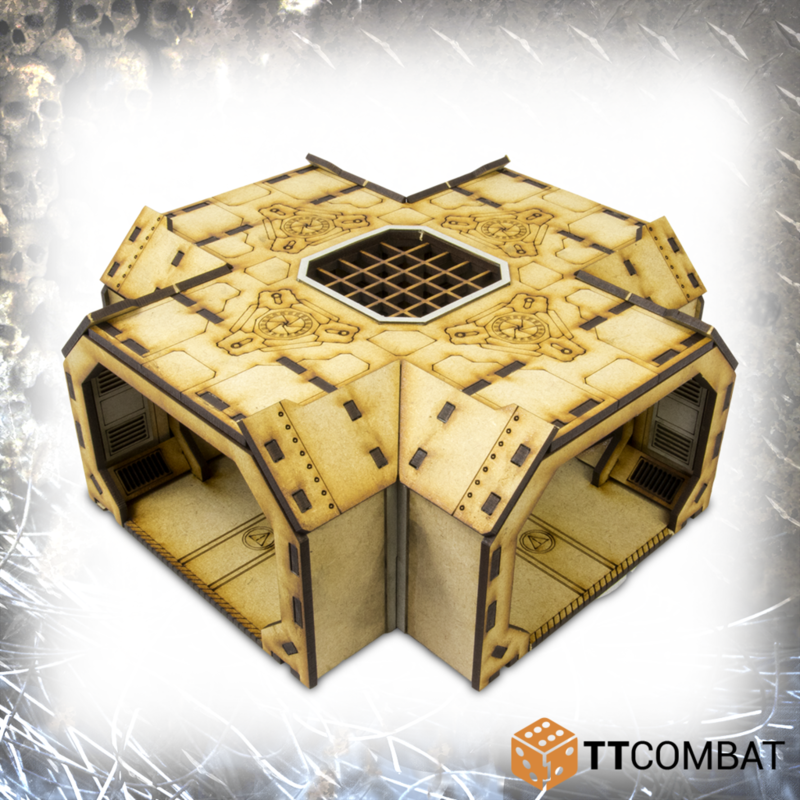 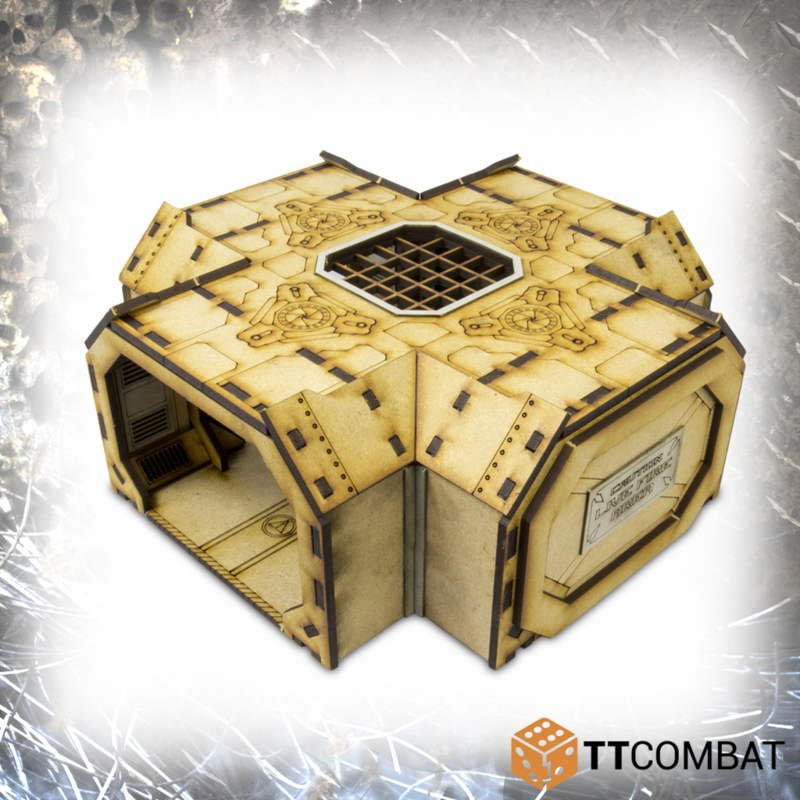 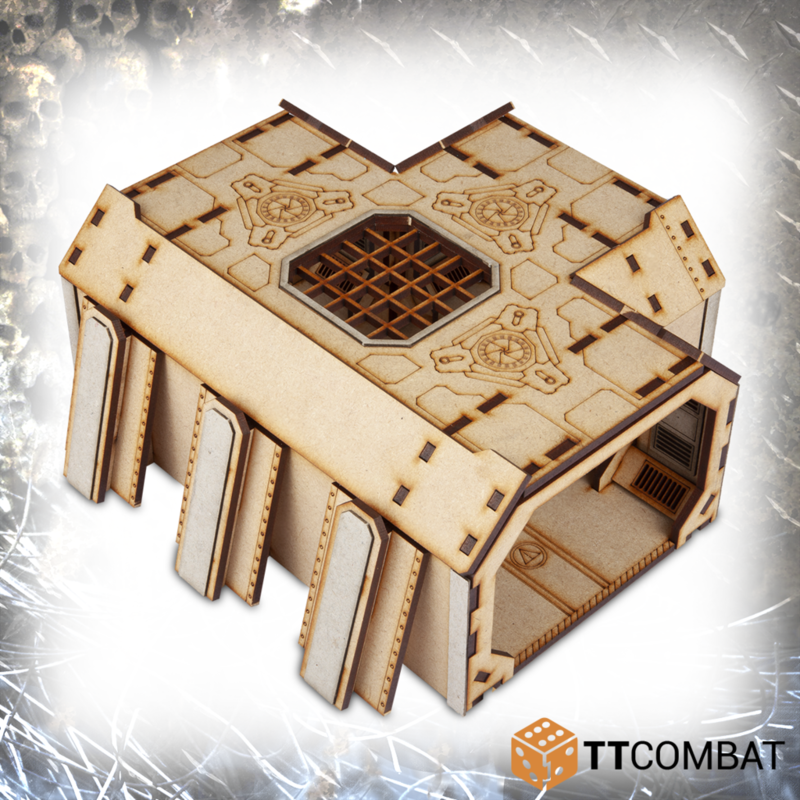 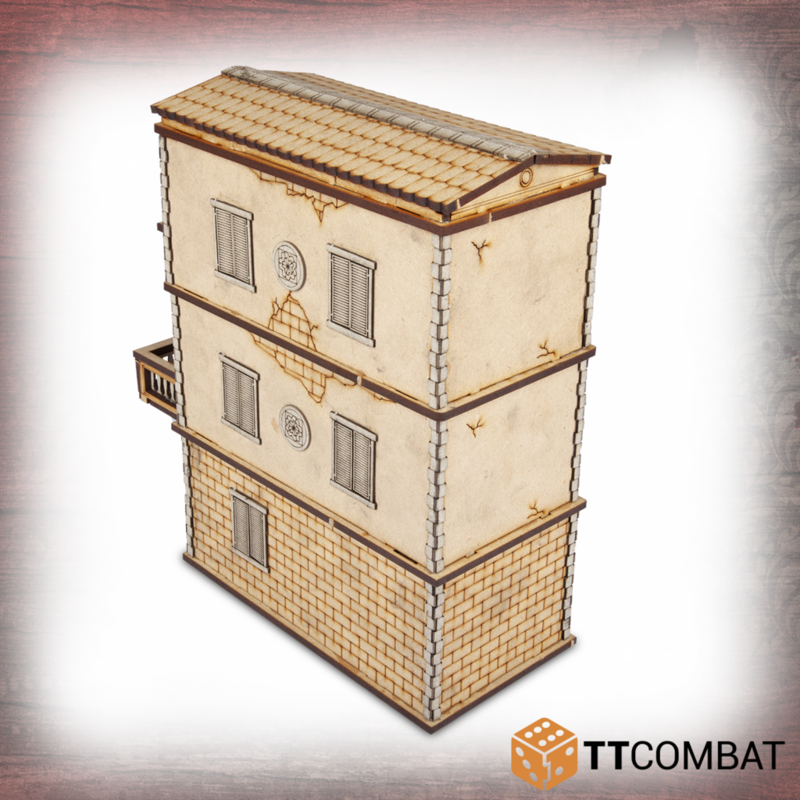 It is a great piece of scenery to use on the tabletop for Carnevale and will work perfectly with other 28-32mm games. 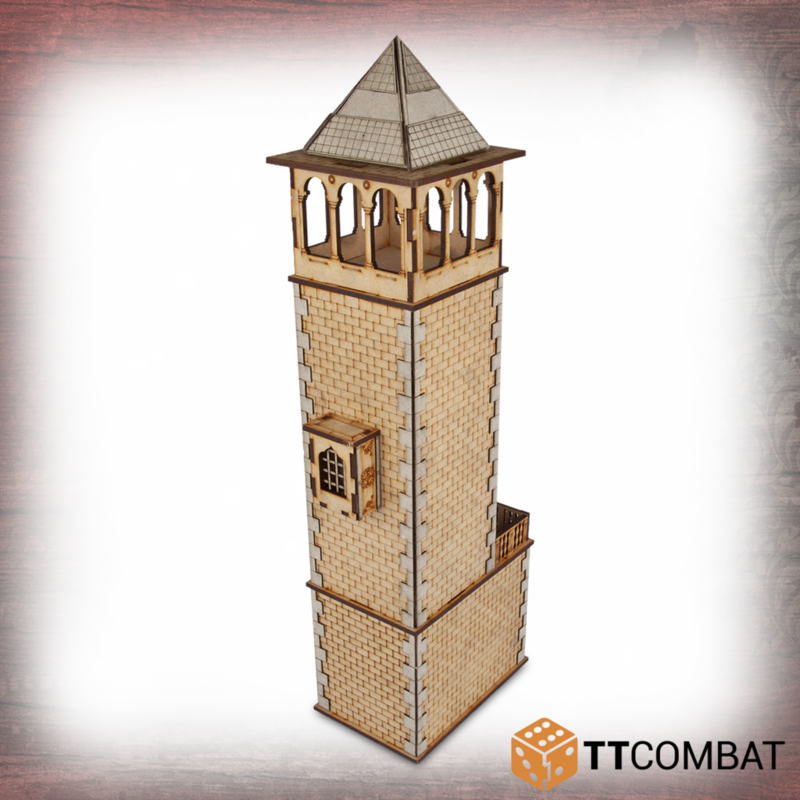 The Crisotomo Tower is made from 3mm MDF and 1mm greyboard. 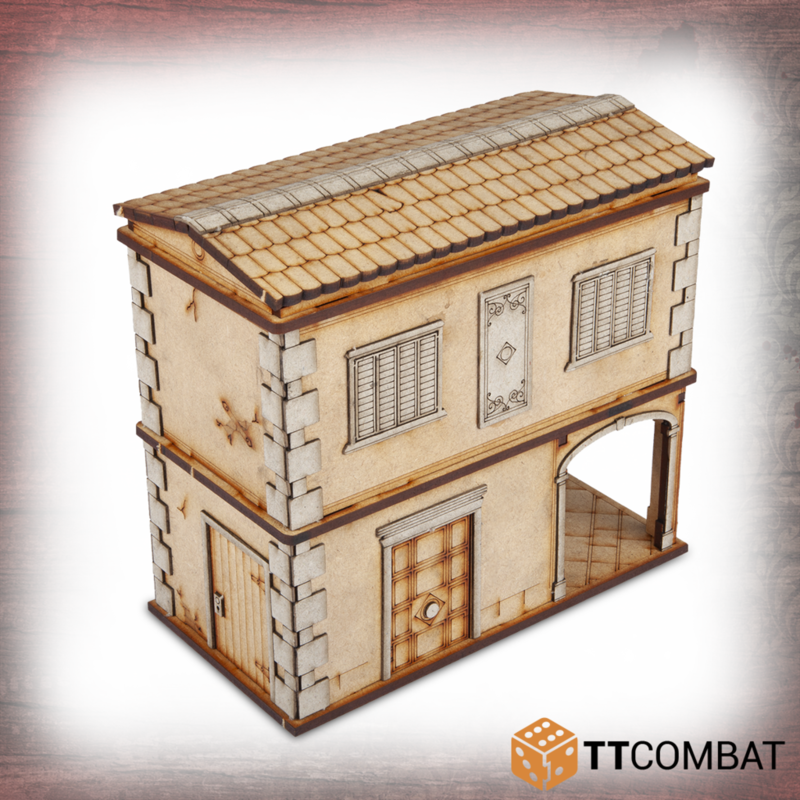 It is a great piece of scenery to use on the tabletop for Carnevale and will work perfectly with other 28-32mm games. 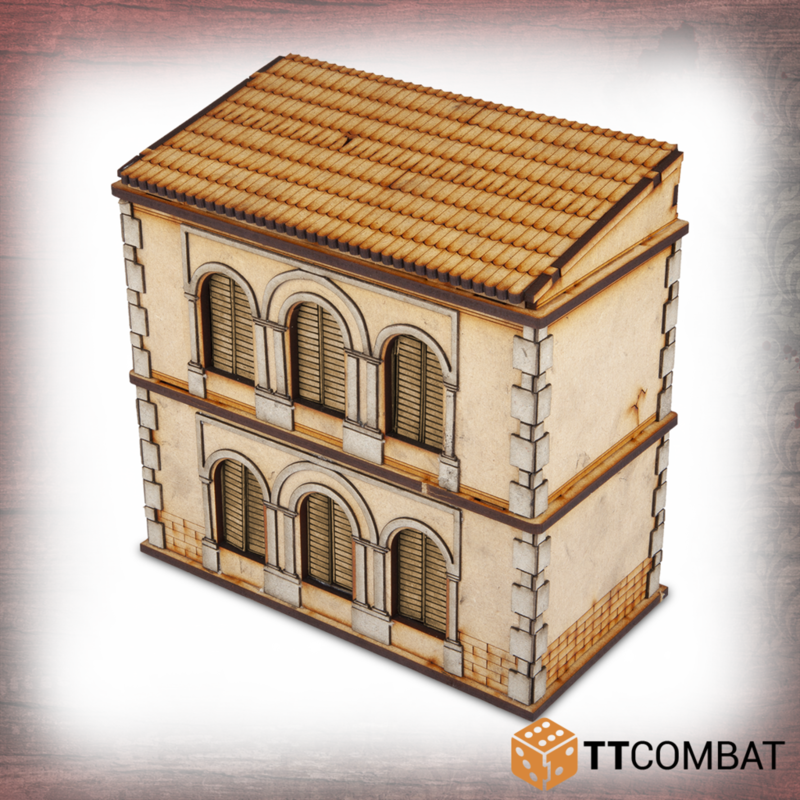 Palazzo Lucia has an arched entrance under a large veranda which make it the perfect place to fight your foes on a warm Venice evening. 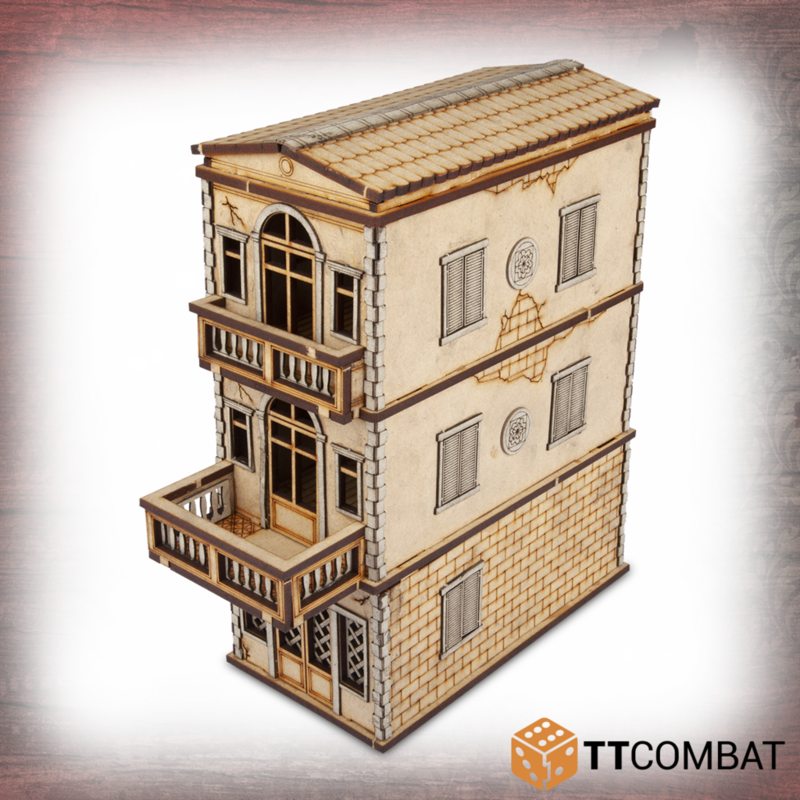 Palazzo Lucia is made from 3mm MDF and 1mm greyboard. 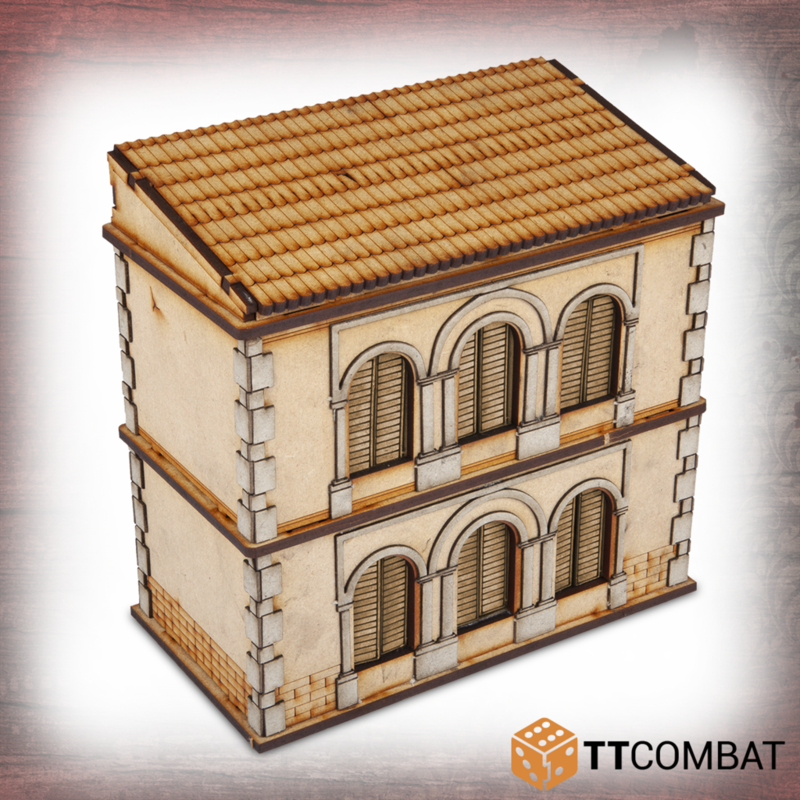 It is a great piece of scenery to use on the tabletop for Carnevale and will work perfectly with other 28-32mm games. 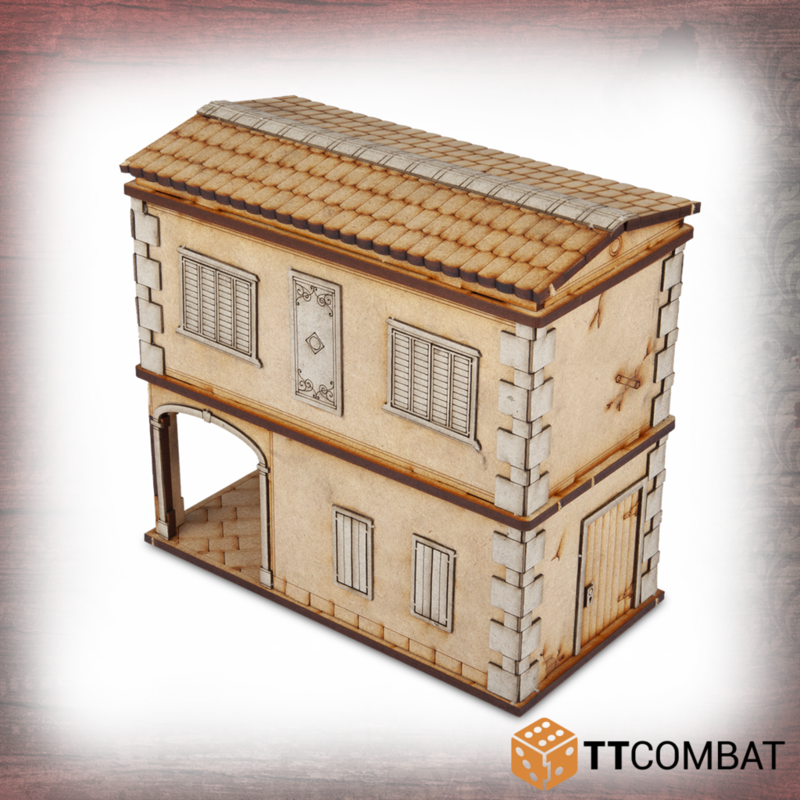 The Casa Diana is made from 3mm MDF and 1mm greyboard. 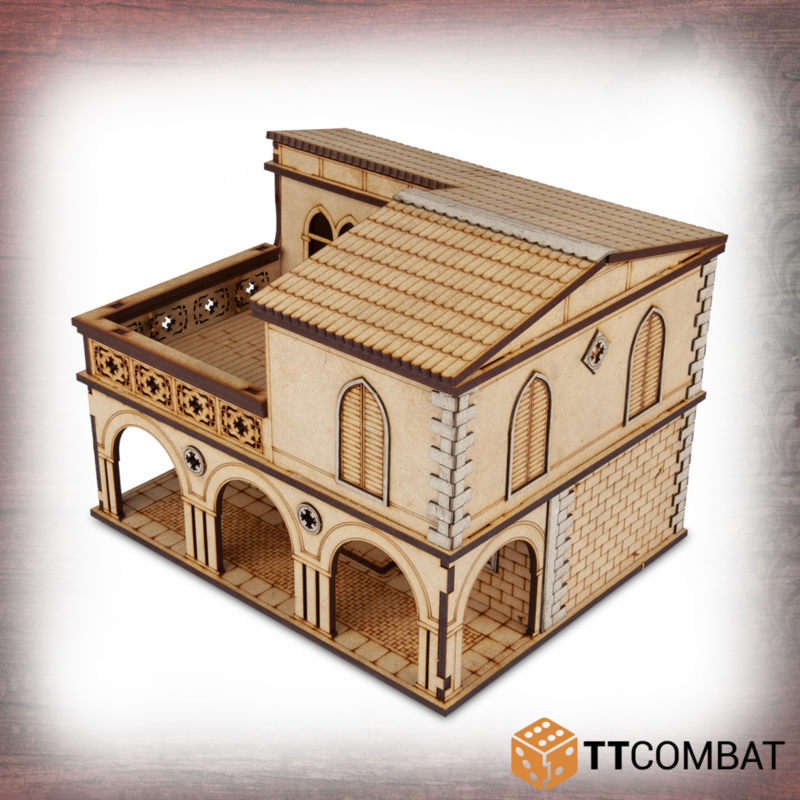 It is a great piece of scenery to use on the tabletop for Carnevale and will work perfectly with other 28-32mm games. 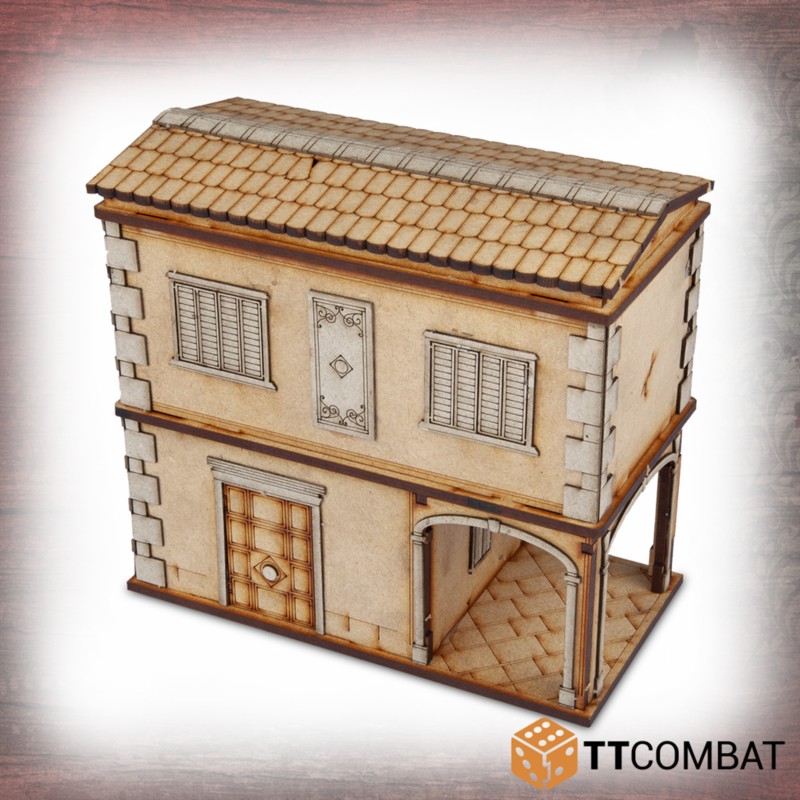 Casa Francesca is made from 3mm MDF and 1mm greyboard. 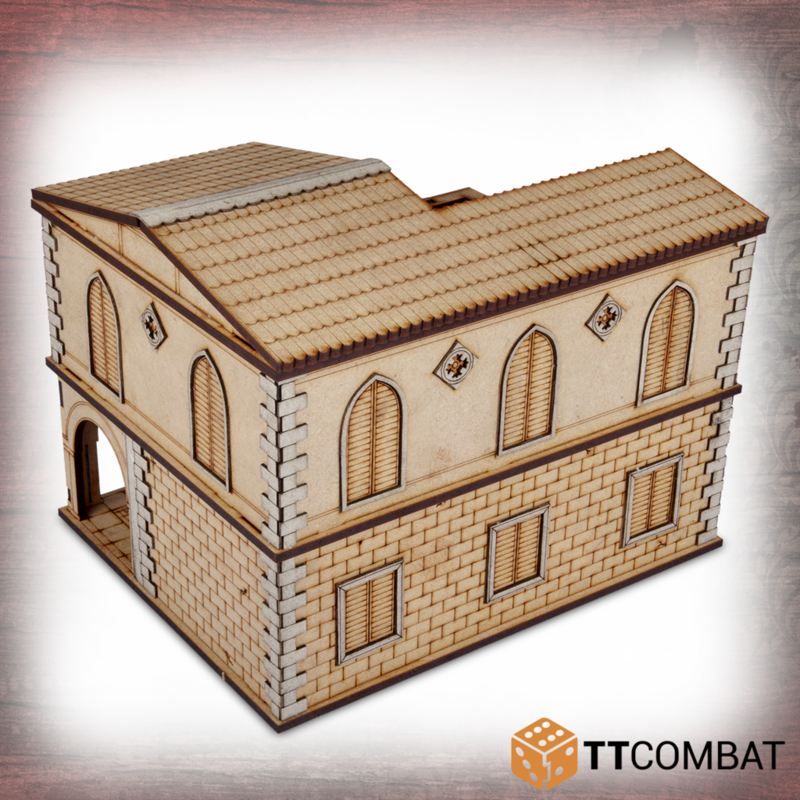 It is a great piece of scenery to use on the tabletop for Carnevale and will work perfectly with other 28-32mm games. 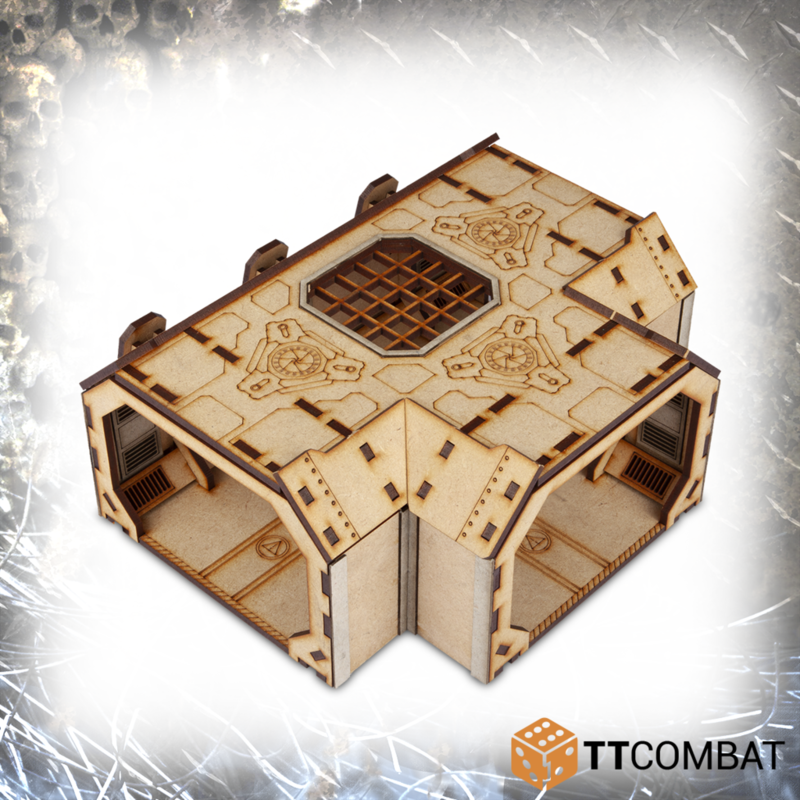 The Fortified Bunker Cross Section is designed to work with all our Fortified Bunker sections, as well as our Fortified Trench sections, providing you with a whole bunch of options with which to make an expansive bunker system. 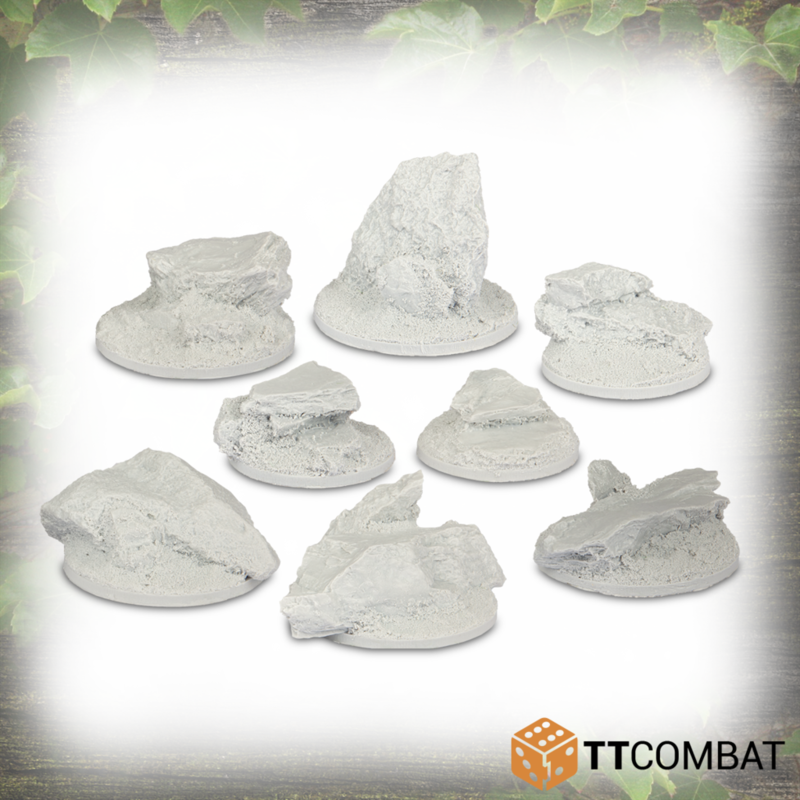 These rock piles make excellent scatter terrain for any game! 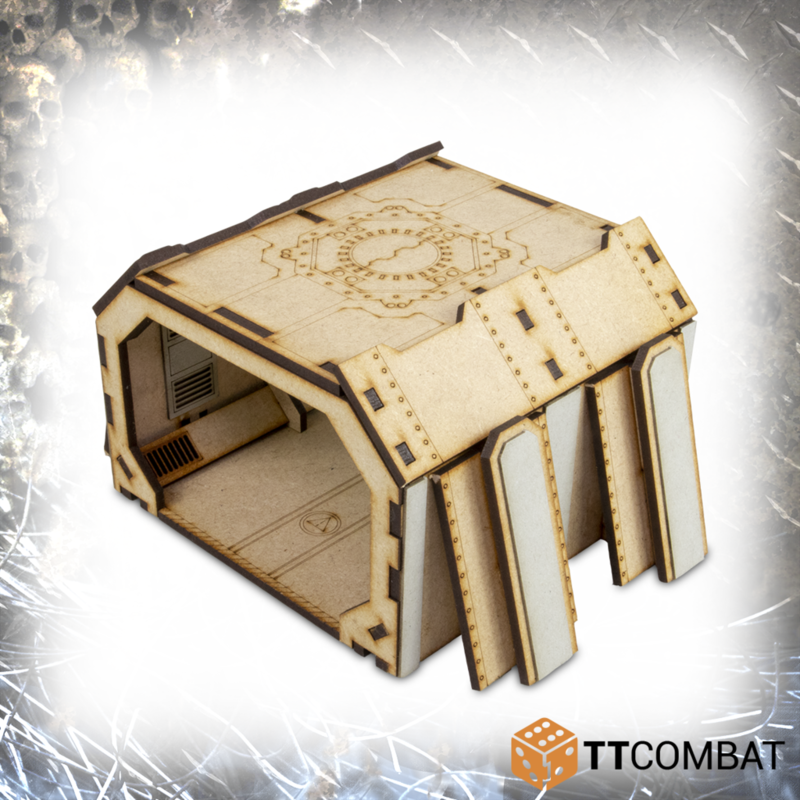 Although designed with 28-32mm scale games in mind, large rocks could become colossal boulders in smaller scales, or mere pebbles in larger scale games. 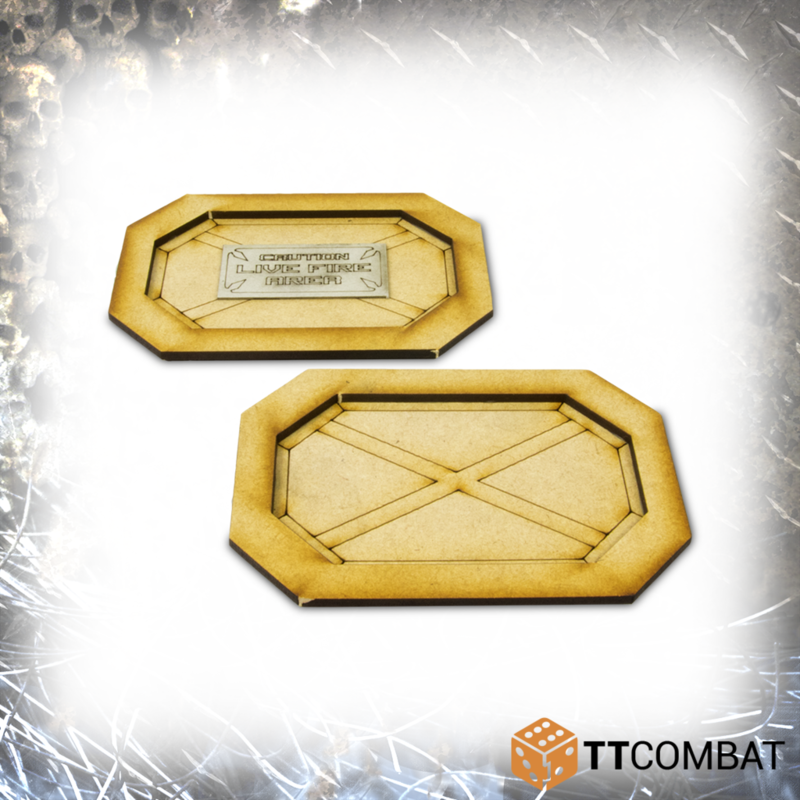 Lighter weight and softer than real rocks, these piles are great for modelling, and make transport a lot easier! 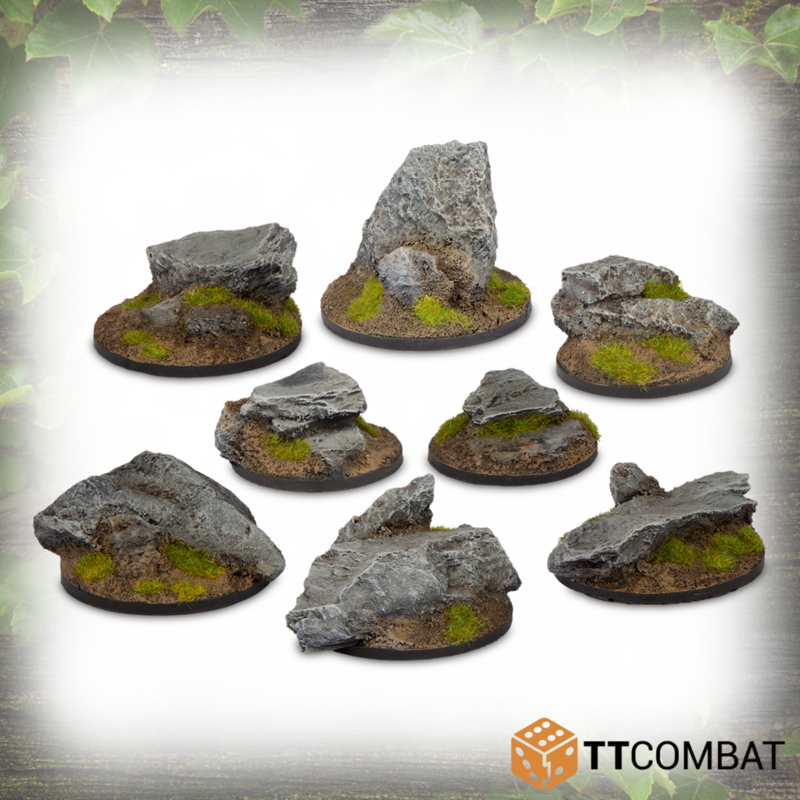 This set contains 3 small rock piles and 5 large piles. 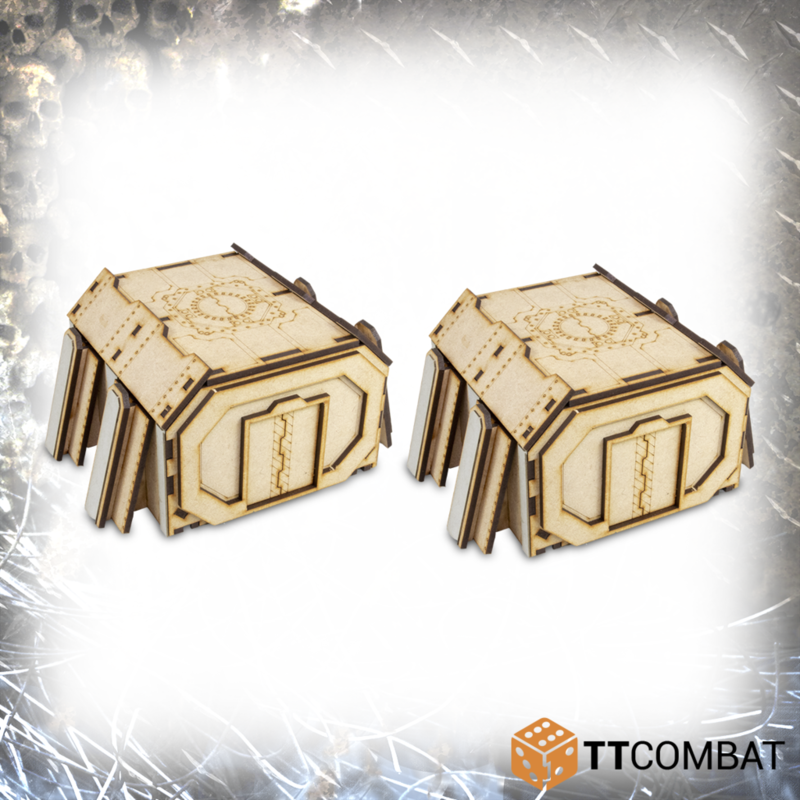 At 50mm and 60mm, they can be used as simple terrain pieces or even as full bases for your miniatures. 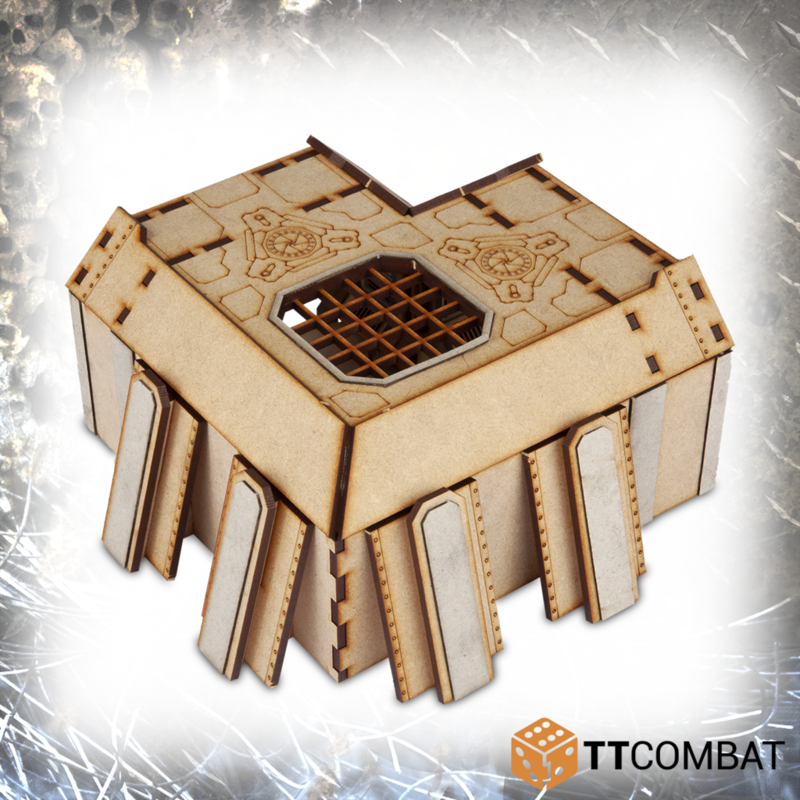 They’re all single piece, meaning no gluing and minimal clean up required. 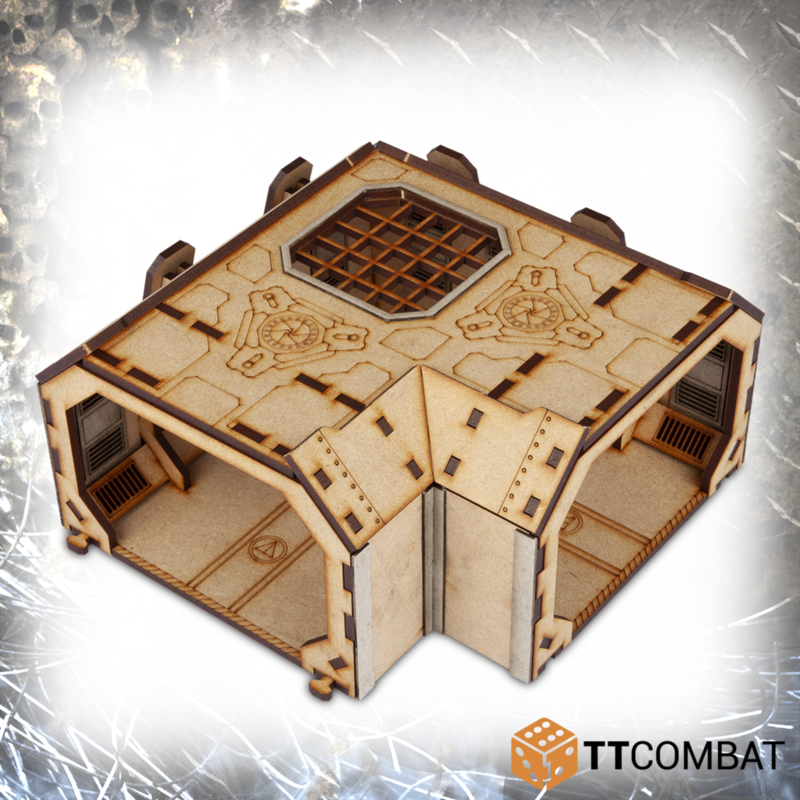 Contains 8 resin miniatures, supplied unpainted. 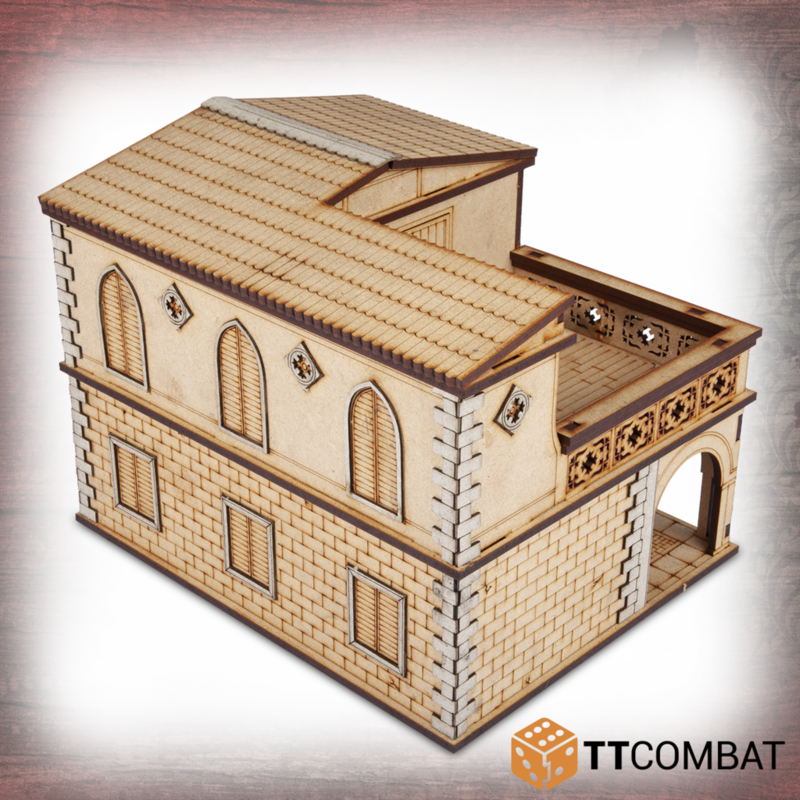 This kit will require cleaning and assembly, and could need some small holes filled. 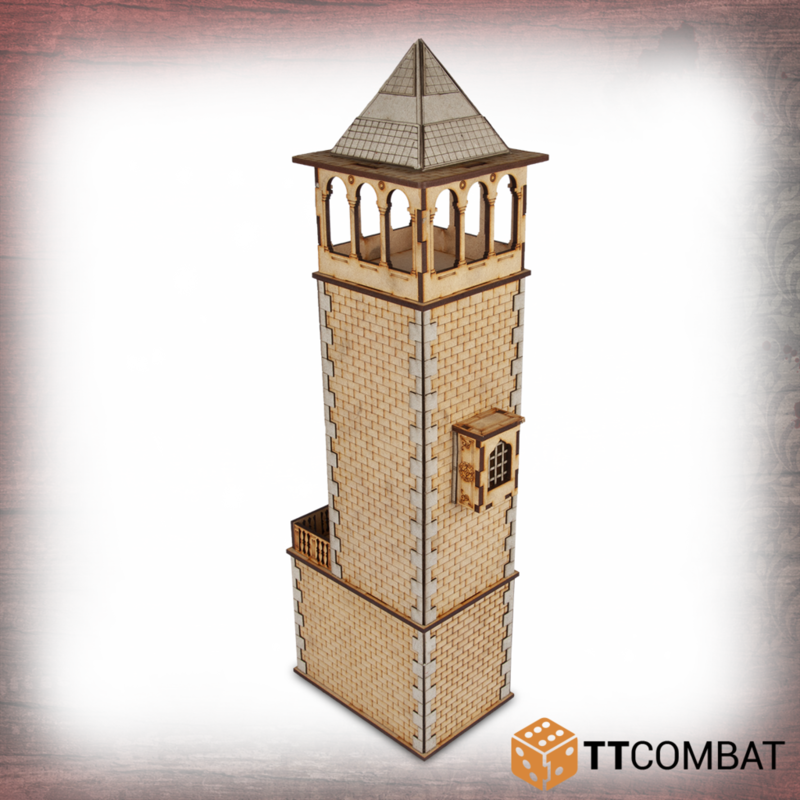 Da muss ich mich doch mal näher mit beschäftigen!